Become a part of this growing movement towards increased personal health, more self-reliance and taking a central role in your own wellbeing. Join the thousands of students in these courses, offered to help you bring herbal medicine into your own home. There are many home health remedies available to us that are simple to make or take at home. 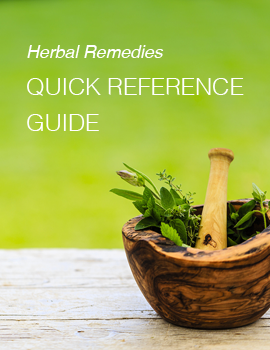 Learn about these easy, effective home herbal remedies that are essential for health and to have on hand for several common situations. In this course, you will get a base understanding of what herbalism is and how it works. Learn how to easily make several different types of herbal medicine such as tinctures, teas, honeys, syrups, oils, salves, compresses, poultices and more. This in-depth course allows you to make and use herbal medicine for a wide range of common health issues. You will learn highly beneficial and effective remedies. Most importantly, you will increase your overall health, longevity and wellbeing. Home herbalism is the use of plant medicine for personal health and wellbeing. These herbalism courses are offered to help you take care of yourself, your family, and your loved ones with natural remedies. This is the herbal medicine that you have easy and affordable access to for life’s most common healing situations. It is also what keeps you healthy in the first place. Home herbalism is empowering.